Our split poles were created for customers who need to fit their poles in a sled during transport in a plane, overseas, etc. These poles use a stainless steel mid-pole coupler. Please note that we typically recommend full length poles unless you need to travel with your pulk in a plane, etc. 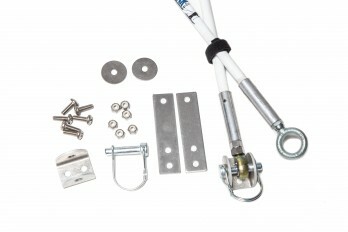 Channel Kit hardware to attach to your own sled is included. 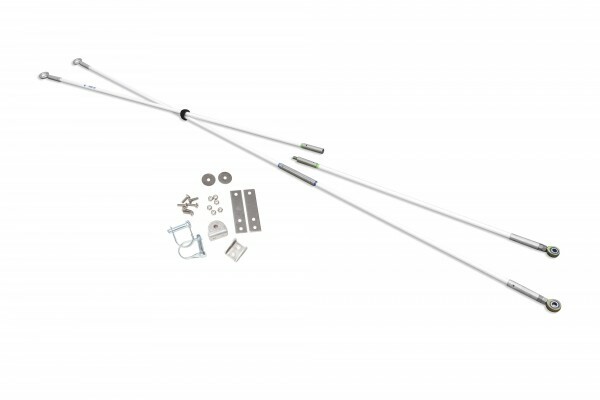 Our split poles were created for customers who need to fit their poles in a sled during transport. 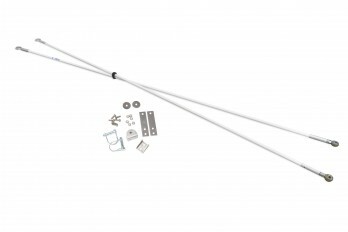 They add about six ounces of weight compared to the full-length poles and add to the complexity of your system in addition to the extra cost. We generally recommend full-length poles unless you need to be able to fit your poles in your sled to transport in a plane, etc. Split poles use a stainless steel mid-pole coupler that is as durable as our full-length poles. 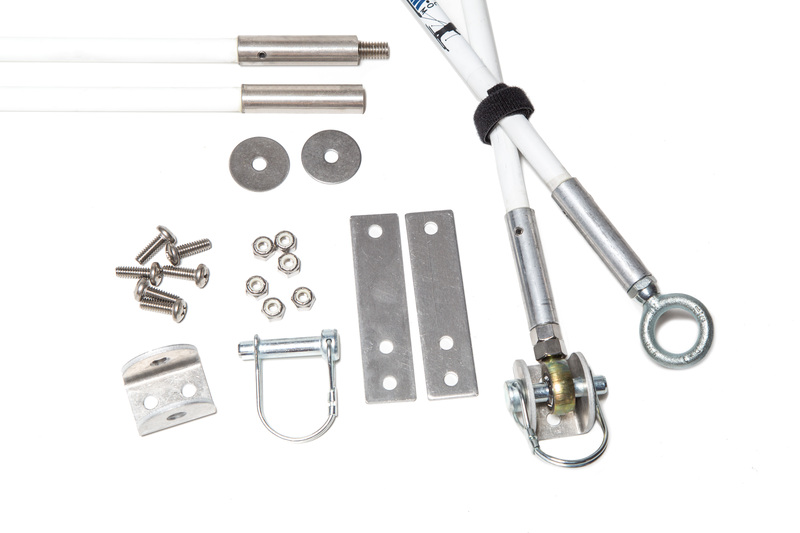 Includes our Channel Kit hardware for attaching to your own sled. The poles have both a ball-joint end and an eye-bolt end, except when purchased with our Fatbike line or Expedition pulk, in which case we switch out the eye-bolt end with another ball joint. The aluminum couplers (pole ends) are specially machined for SkiPulk.com. One end is 3/8″ fine thread for the tie rod/ball joint. The other end is 5/16″ standard/coarse thread for the eye bolt.